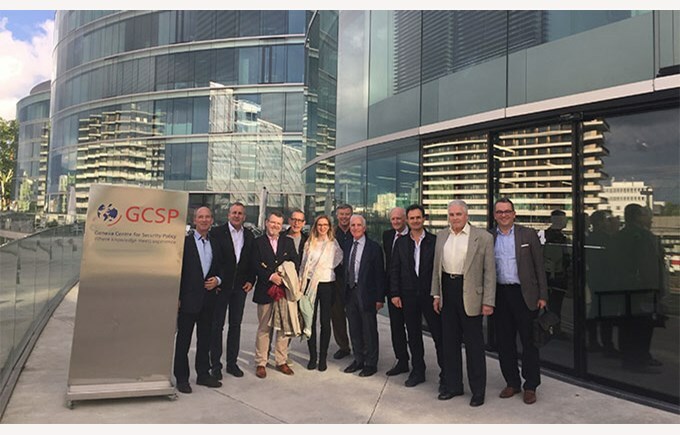 On May 23, 2018, the Alumni « Gold » Members were invited to an exclusive visit of the Geneva Center for Security Policy (GCSP) thanks to one of our Alumni, Gold Member and Parent William Gargiullo, who is ‘Chargé de Mission’. 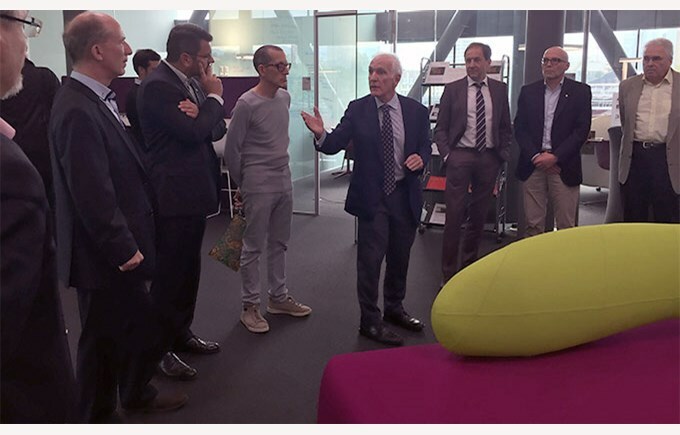 After a Champittet mini-bus ride in an atmosphere that was reminiscent of the school trips of our childhood, we were greeted with great generosity by William at the Maison de la Paix. Each of us was impressed by the discovery of this unique venue, by its history and its role in world peace. William gave us a presentation on the importance of exchanges and openness to other cultures and ways of thinking, which was particularly interesting to us as Champittéens. 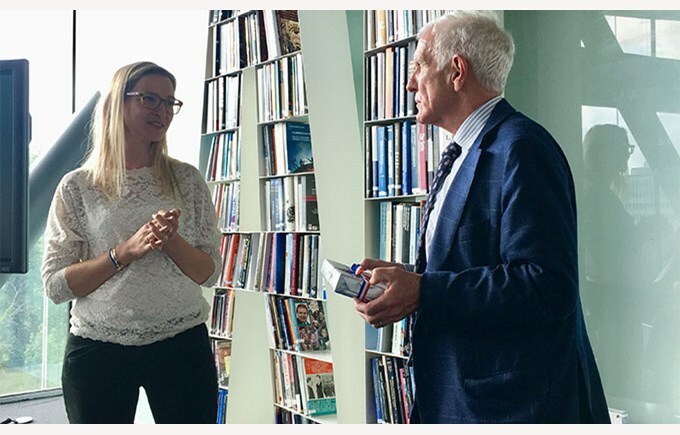 We were especially impressed by the enthusiastic interventions of Ambassador Christian Dussey and General Philippe Meyer, COO, their innovative vision and their ability to pass on their passion. 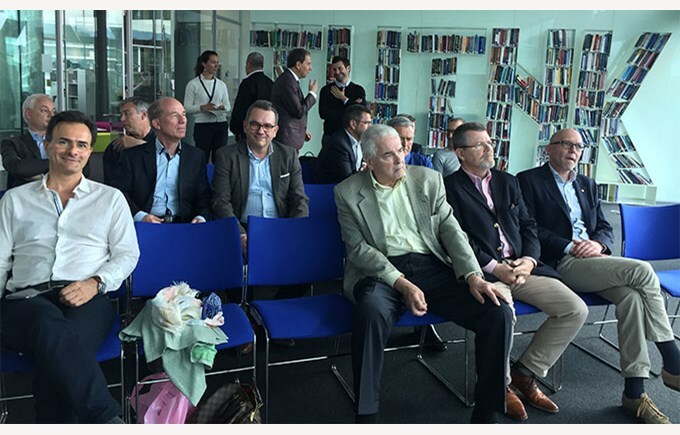 The presentation on space tourism by Mr. Laurent Muhlematter, test pilot, was "the icing on the cake". We may have an Alumni meeting in space for a Gold event in a few years! 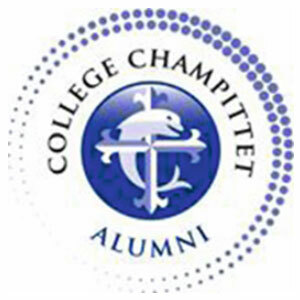 Long live the GCSP, long live the Champittet Gold Alumni Gold Members!